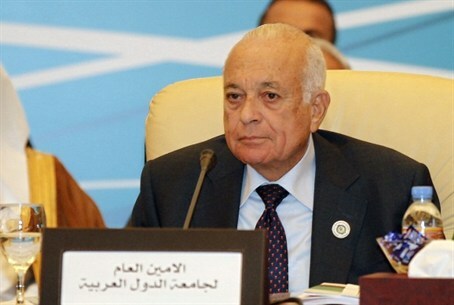 Head of Arab League calls to create joint force to fight terror in Cairo meeting, as Egypt takes initiative. Arab League chief Nabil al-Arabi on Monday called for the creation of a unified Arab military force to battle the spread of Islamic terrorists groups. "There is an urgent need for the creation of a multi-purpose common Arab military force...able to intervene rapidly to fight terrorism and the activities of terrorist groups," Arabi told a meeting of league foreign ministers in Cairo, reports AFP. He also stressed the importance of "cooperation in areas related to security protection and the exchange of information between Arab countries." Talk of creating a "unified Arab force" was raised last week ahead of a March 28-29 meeting in Egypt's Red Sea resort of Sharm el-Sheikh, with the League saying it would discuss the initiative by Egyptian President Fattah Abdel al-Sisi to created a unified military presence. The League's Deputy chief Ahmed Ben Helli said the force "should be ready and present so that they could symbolically show that the Arab countries have a deterrent force and a peacekeeping force that could step in at times of conflicts." He added that such a unit would be tasked with "confronting threats that undermine the stability of the countries of the region, particularly the rise of terrorism." In the Arab League meeting on Monday, the body is expected to propose a resolution to end "Israel's occupation of Palestinian territories." At the end of December, the Palestinian Authority (PA) tried to pass a resolution, backed by the Arab League, calling on Israel to withdraw from Judea and Samaria by 2017. The resolution was put to a vote in the UN Security Council, but failed to secure enough votes in favor to pass.